Therapy bands for professionals. Five Resistances, Latex Free. 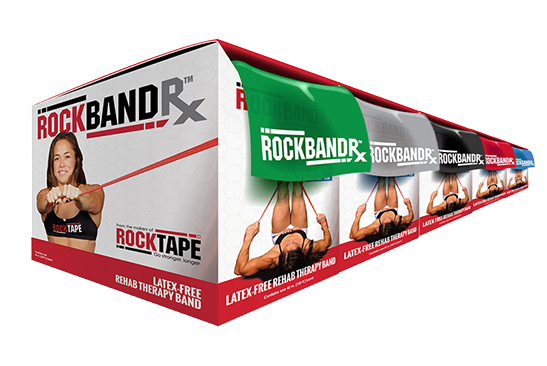 RockBandRx is designed to meet the needs of physical therapists and chiropractors who frequently employ therapy bands in the treatment of their patients. Available in five resistances, they are latex free and competitively priced. RockBandRx is sold as a 150-foot long, cut-it-yourself roll and is available in five different resistances, from extra light to extra heavy. 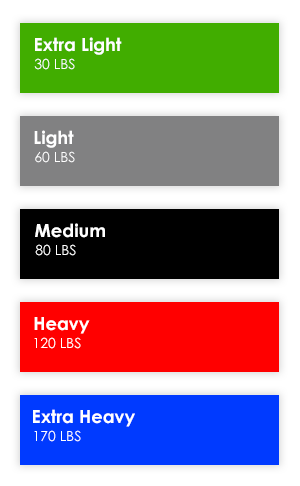 They’re color coded for easy reference.